MMAN Advocates is delighted to announce the appointment of Carole Ayugi as Managing Partner beginning January 1, 2018. Carole, one of the founding Partners, has over 15 years experience in commercial and corporate law with a focus on Corporate Transactions, Employment & Pensions, Intellectual Property,Projects and Alternative Dispute Resolution. Carole takes over from Suzanne Muthaura, whose successful 5-year term as Managing Partner came to an end in December 2017. Suzanne continues as Head of the Corporate Practice Group and looks forward to focusing on development and growth of her legal practice. Carole expressed her gratitude for the appointment, saying that in 2018, the firm intends to put in place improved systems that will see increased efficiency and effectiveness in service delivery and aid in achievement of the firm’s strategic objectives. She is an Advocate of the High Court of Kenya and an Accredited Mediator by the Chartered Institute of Arbitrators. 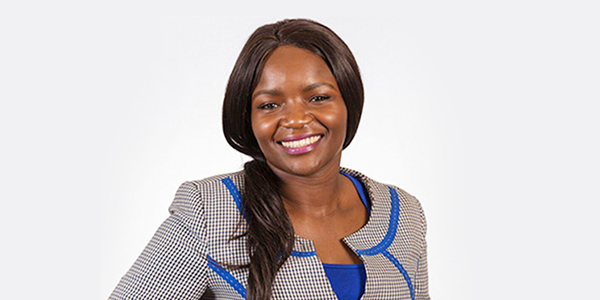 Carole is a member of the Law Society of Kenya, a member of the Chartered Institute of Arbitrators (Kenya Branch) and a member of Institute of Directors (Kenya). She holds an LLB (Hons) degree from the University of Nairobi, and a Postgraduate Diploma from the Kenya School of Law. The firm is confident that Carole’s leadership will further improve the quality of legal services that the clients have come to expect from MMAN Advocates.